Last edited by Speedracer; 13.10.2018 at 18:46. Sorry I just don’t believe you. There is way too much well documented evidence to the contrary. A 4690k at 3.8ghz with an r9 390x on single core recompiler never got you 50 to 60 FPS. Drops to 5 FPS on any decent system is shader stutters. AMD GPUs can not use any cemu version after 1.12.0 until 1.14 comes out. The shader system is broken and caches are unusable. Making everything cause shader stutter. 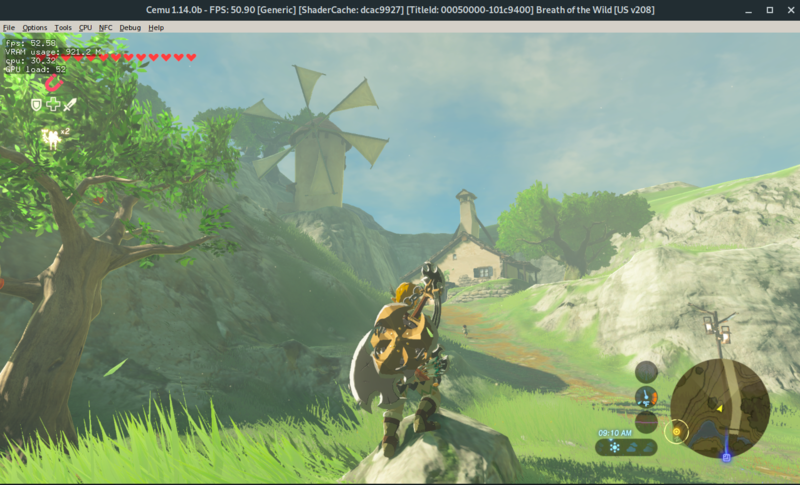 AMD GPUs have a hard time pushing past 30 FPS in botw because Their OpenGL drivers are quite poor. You can switch to Linux where the open source drivers are quite a bit better and you will have no problems pushing past 30 and the previous mentioned problem goes away. 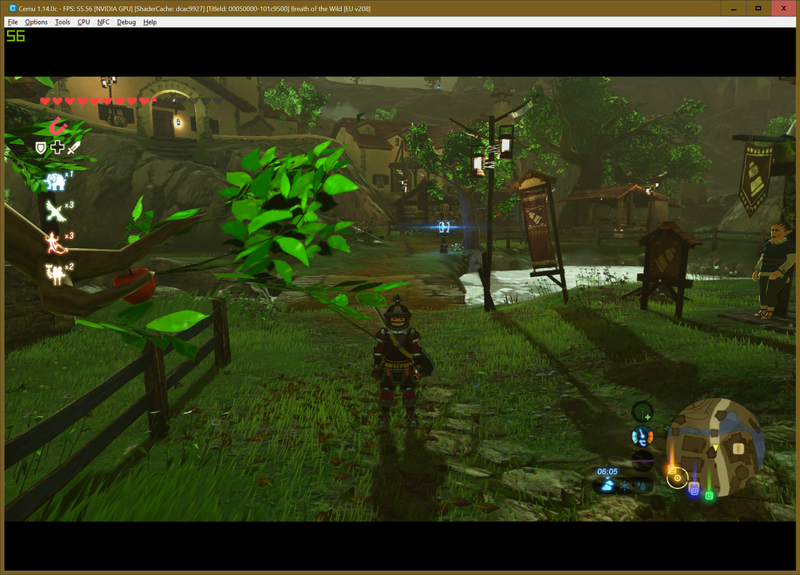 That in itself clearly shows that it isn’t cemu at fault but amd’s proprietary drivers. Cemu devs do not hate amd. Of all the games cemu can actually run there are only two that don’t run well on amd. That is botw and xcx. All other games will run at their intended framerate. Enough said and that is on 4k.. If I drop down the resolution to 1080p I am permanently on 60fps. The scene is Hateno where the original Wii-U runs in 20fps on 720p btw. And that is pretty much the only scene where I even drop below 60fps. Ryzen 2700x Nvidia 2080 combo. So here it is side by side. the Intel 4690k at 3.8 Ghz is getting 38-47 fps in Hateno villiage while the amd 1900x which is stock 3.8 but overclocked to 4 ghz is getting half the framerate with stats that far exceed the intel system/amd card setup(ddr 4 ram vs intel ddr3 memory,, the amd system has 16 gb video ram on the vega card vs 8 gb on the r9 390). Both systems are updated to the latest CEMU verson with all the settings the same. both are also running 3 threads. As i stated before, my GFX card isnt the issue, as ive run the r9390x in the amd system before i installed the vega 64.... with the same results.... not only is the framerate so much worse, but freezes happen all the time and last upwards of 60 seconds sometimes(to the point i almost reboot thinking it crashed). So we can conclusively say that not only does Nvidia perform much better than ati GFX, but amd cpu's with higher IPC and Higher GHZ perform much slower..... so yes, there is something wrong with CEMU. log.txt; we can't start guessing your settings. 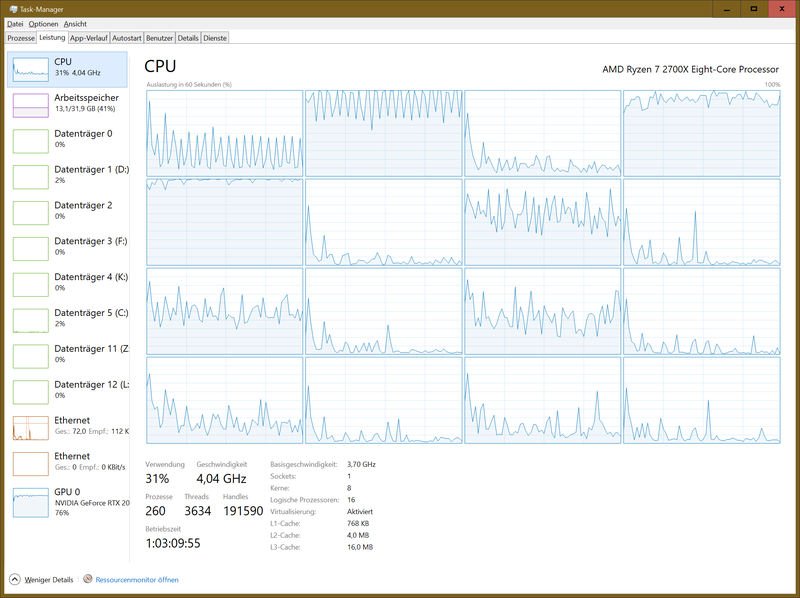 The Windows 7 scheduler is outdated and does not scale well to high core processors, besides on top of running on an AMD card running a new processor on Windows seven is an absolute no go. See the rest of my comments in the other thread where I gave a lot of optimization hints, but I personally think you sacrifice about 30-40% of your possible performance the way you run your quick test here. Don’t need your optimization “opinions”.... as they are pretty much useless. Especially if you actually believe I’m loosing 30-40% of my performance on an OS that outperforms Windows 10 by 4-5% in most games(unless they actually run dx12) and applications. And just so you know, I’m actually running Windows 10 on the threadripper, it’s just running a windows 7 start bar as windows 10’s start menu is just plain stupid. If you look close you can see this. And I still don't believe you. Showing a video of you getting 37 fps in the easiest to render spot in hateno is hardly proof that you were getting "50 - 60" fps. Here is that scene on linux. Further proof that this is an amd gpu driver issue. That's a stock clocked 1700x with an r9 fury.